There are so many elements to a bathroom renovation that something always gets missed. Usually it’s an accessory, like a mirror, or an extra like a rail for the bath. 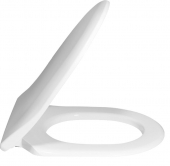 One such item that can go unnoticed is the toilet seat. This happens either because people forget that they don’t have to stick with the basic, standard model, or because they purchase a brand new toilet in kit form and forget that sometimes the toilet seat, pan and cistern are sold separately.Whatever the case, when you’re next making changes to the bathroom and you want everything to be right first time, add toilet cover or seat to your shopping list. They may not be very expensive, but nobody needs extra things creeping into the budget at the last minute. Besides that, there are some great seats available now which add to the design of your room, either standing out as a sleek design choice or seamlessly blending into the toilet to reduce visual impact. Take a look at the major brands that offer a choice of seats. You can even save money by looking for discounts online. Seats can be dependent on the range of toilet you want, so ideally, look for both items at the same time. Though brands will usually offer a matching set, there may be several options to choose from. These are a few elements to consider when picking a seat. Toilet cover. Sometimes these are included but you may need to buy a matching cover or lid, to rest above the seat. Shape. Bowls tend to be round, oval or square, limiting your choices. Some ranges use unique shapes that require bespoke seats. Consistency. Consider your overall décor scheme when picking any smaller parts like a seat, because they can clash with other elements in the room. Soft close. Many models now feature a mechanism which prevents the seat from slamming noisily, ideal in the middle of the night. With these aspects in mind it should be easy to narrow down a model that you prefer. A total bath room renovation will always throw you unexpected problems, so this is one more thing that you can nip in the bud when you plan that perfect design. You will usually find that your choice of seat is restricted by your choice of toilet, so choosing the right brand is important. Match up bowl and seat to ensure that the aesthetic works and the seat fits correctly. Also bear in mind that you need to see both lid and toilet to know how the final product will look once it’s in place. Fortunately, you aren’t limited to the selection in your local store. Shop around on the web and you’ll find brands with cheap seats and complete matching sets, from cover to cistern. Start with some big bath room brands like Villeroy & Boch, Ideal Standard and Duravit. 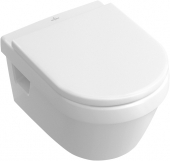 Duravit have a special SoftClose trademark so you can depend on their toilet seats to close with a whisper. The Duravit Starck 3 range includes seats with SoftClose and stainless steel hinges, while the D-Code range has a simple, long shaped seat and built in toilet cover, again with their SoftClose system. 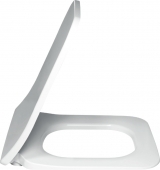 Villeroy & Boch are a great choice for seats as they provide multiple options for all their toilets. Villeroy & Boch Amadea seats merge smoothly into the cover. 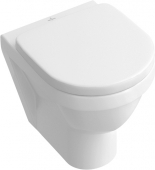 If you choose a Villeroy & Boch Subway 2.0 toilet, the seats feature both a soft close and quick release catch, adding more value to the unit. Ideal Standard have a great curved seat in the Kimera range, which will suit a quirky room and has soft close. Ideal Standard’s Contour range includes a children’s seat in blue, for a little break from the norm. Try the brand Laufen for some very contemporary toilets. Seats in the Laufen Pro range have their patented Active Shield antimicrobial coating, granting another layer of protection. Finally, take a look at Keramag Cassini for a removable lid and Keramag Preciosa for seats that fit their iconic circular bowls. These are just a few providers, so use them as inspiration in your search for the perfect bathroom. The key to great design is attention to detail.